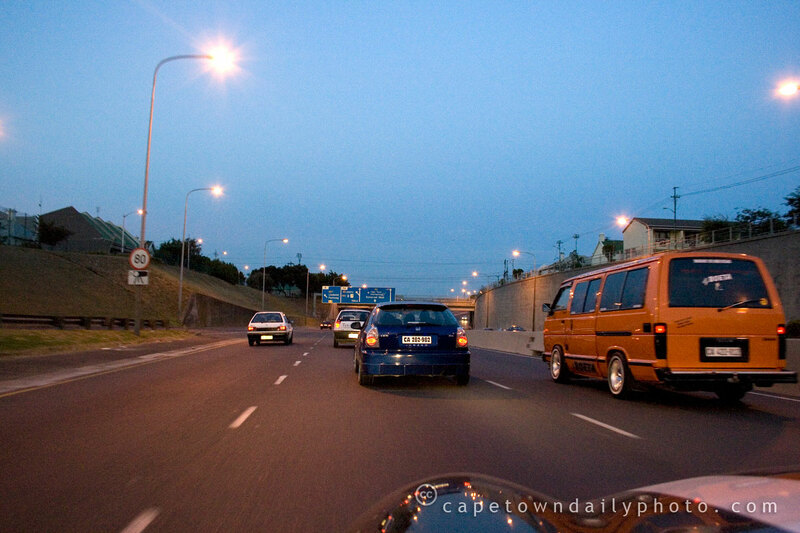 If you're unfamiliar with South Africa you may wonder why I named the title of this post "Black" taxi, especially when there are no black vehicles in this photo. The orange minivan in the photo is in fact known colloquially as a "Black taxi"; this form of transport is used by a large portion of the country's population to get to and from work, and by far the majority of these commuters are black. These taxis are generally (and perhaps ironically) white, so this orange one is an exception. Posted in Street photography and tagged life, night, road on Friday, 10 April, 2009 by Paul.